When I think of posts to do I start writing them in my head. Today I realized that I always start my DIY projects with this super simple... But that's just because I actually do think that they are super simple! This one probably takes the cake in the simple department...a DIY leather wrapped bangle. 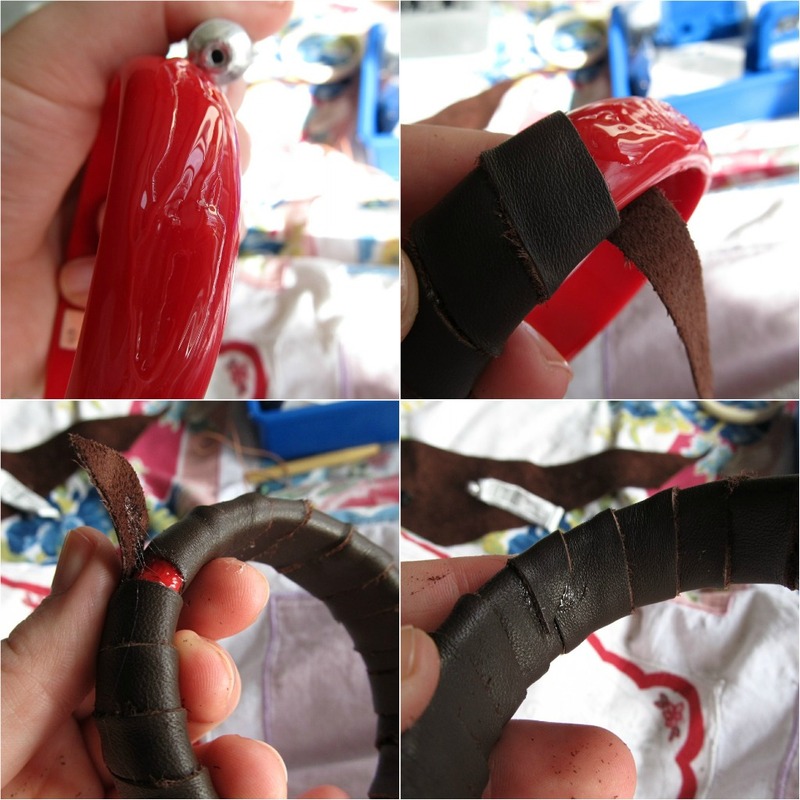 Put glue on the inside and outside of the bangle, you don't need to do the sides and only add glue in sections. Start the leather strip on the inside and don't worry if the strip is roughly cut! I was going to cover the white bangle too, but then I thought they looked cute together like this! What do you think? Love it. Super simple, yet great result! And I too like the contrast between the white and the brown, smooth vs. textured.